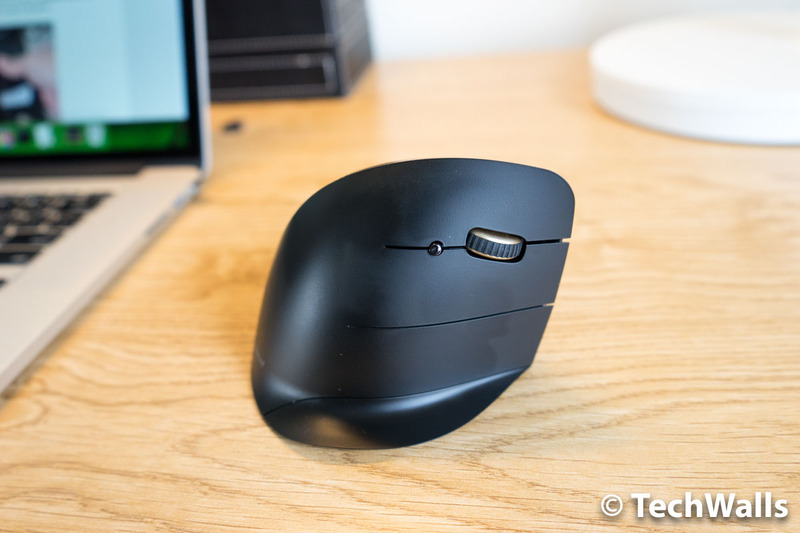 Evoluent VerticalMouse C Right Wireless Review - The Best Ergonomic Mouse? 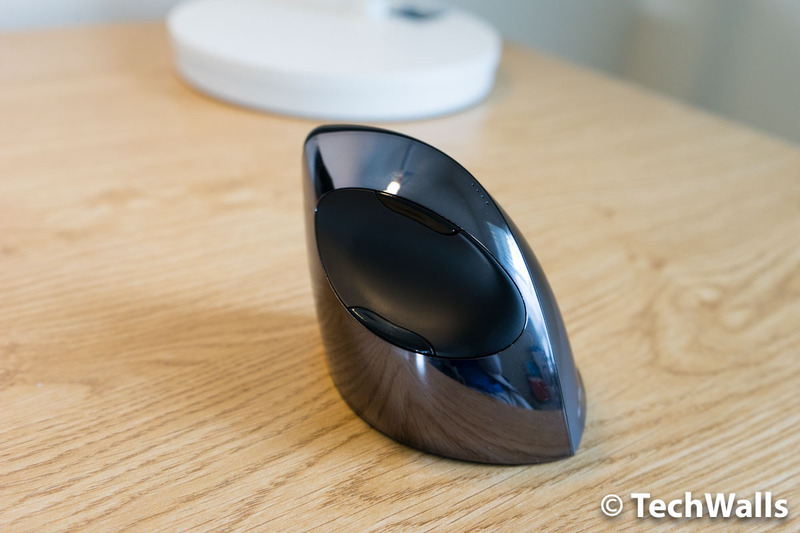 Evoluent VerticalMouse C Right Wireless Review – The Best Ergonomic Mouse? I’ve tried different types of computer mice but I couldn’t imagine someone would make a vertical mouse. The Evoluent VerticalMouse C Right Wireless is so different and the design is said to be more ergonomic than any other mouse. Let’s check it out. The VerticalMouse C is my first product from Evoluent and I didn’t expect the brand could deliver such a solid built product. Most of the exterior is made of plastic but it doesn’t feel cheap at all. The mouse comes in a weird shape and it is actually very big and tall. This is because they decided to go with the vertical design which is said to provide a superior comfort. The mouse comes in a weird shape and it is actually very big and tall. This is because they decided to go with the vertical design which is said to provide a superior comfort. 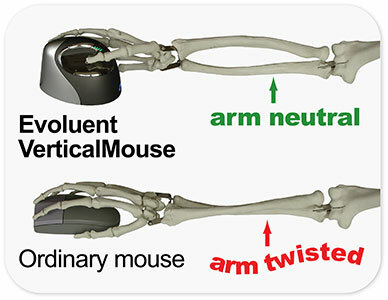 When you hold the mouse, your forearm won’t be twisted as illustrated below. The posture will help reduce pain on your arm and therefore, make it more comfortable when you use the mouse in a few hours. The statement seems to be true and my arm also feels a lot more natural when using this mouse. However, my wrist always has to lean on the desk to support my arm and move the mouse. So, my forearm is more comfortable but my wrist is a little less comfortable in this case. To get the best out of the mouse, I highly recommend you to use a soft mousepad underneath. The mouse is powered by an AA battery which could last around 4 months of average use. To start using the mouse, you will just need to plug the included USB dongle to your computer, insert the AA battery, turn on the mouse, and it is ready. Everything seems too good to be true. Unfortunately, there are still some disadvantages that could draw you away from the vertical mouse. Firstly, the vertical arrangement of buttons is not that easy to press. There are 3 buttons on the right side, including the middle button, so you might click on it by mistake sometimes. I wish that they made the scroll wheel clickable and remove the middle button. Notice that the mouse also doesn’t work on glass or any glossy surface. Besides, the mouse is more difficult to maneuver as compared to traditional mice. Therefore, I don’t recommend this as a gaming mouse as it can’t provide a fast and precise movement. On the left side of the Evoluent mouse, you can see the thumb rest and 2 more programmable buttons. You will need to install the companion software to apply actions for those buttons. The Evoluent mouse is probably the best ergonomic mouse I’ve ever used. In terms of comfort, it could easily beat my favorite mice like the Logitech MX Master or Logitech M570. I highly recommend the Evoluent if you’re looking for a mouse for your home office.